November 12, 2004–Full Impact Pro Wrestling: Vordell Walker defeated Sal Rinauro..
December 17, 2004–Full Impact Pro Wrestling: Fast Eddie Vegas defeated Salvatore Rinauro..
January 7, 2005–Full Impact Pro Wrestling: DP Associates (Jimmy Rave & Fast Eddie Vegas) beat Jerrelle Clark & Sal Rinauro..
February 11, 2005–FIP: Vordell Walker won a Gauntlet over Azrieal, Roderick Strong, Rainman, Steve Madison & Sal Rinauro..
February 12, 2005–Full Impact Pro: Salvatore Rinauro defeated Erick Stevens..
March 25, 2005–Full Impact Pro: DP Associates (Jimmy Rave & Fast Eddie) defeated Steve Madison & Sal Rinauro..
April 22, 2005–FIP Tag Title Tournament: Spanky & Sal Rinauro defeated James Gibson & Steve Madison in the 1st round..
~~~Second Round: The New Dawn (CM Punk & Don Juan w/Naphtali) defeated Spanky & Sal Rinauro..
April 23, 2005–Full Impact Pro: Sal Rinauro won four-way over Jared Steel and Rainman and Kahagus..
May 27, 2005–Full Impact Pro: Sal Rinauro defeated Fast Eddie Vegas..
May 28, 2005–Full Impact Pro: C.M. Punk w/Samoa Joe defeated Sal Rinauro w/Spanky when Punk threw powder in Sal’s eyes! ~~~Colt Cabana & Salvatore Rinauro w/Spanky defeated The New Dawn (C.M. Punk & Samoa Joe) in a tag team main event..
June 24, 2005–FIP: Colt Cabana & Spanky & Sal Rinauro & Azrieal beat CM Punk & Fast Eddie Vegas & Samoa Joe & Jimmy Rave..
June 25, 2005–Full Impact Pro: Tony Mamaluke won three-way over Sal Rinauro and Jay Fury..
August 5, 2005–Full Impact Pro: Sal Rinauro defeated Adam Pearce..
August 6, 2005–Full Impact Pro: Spanky & Sal Rinauro beat Jimmy Rave & Fast Eddie Vegas to win the Tag Team titles..
September 2, 2005- Full Impact Pro: Spanky & Sal Rinauro defeated Jimmy Rave & Jay Lethal to retain the Tag Team titles..
~~~Immediately after the match: The Heartbreak Express (Sean & Phil Davis) beat Spanky & Sal Rinauro to win the Tag Team titles..
September 3, 2005–Full Impact Pro: Sal Rinauro & Seth Delay defeated Bruce Steel & Laduke Jakes..
September 24, 2005 – ROH: Jay Lethal defeated Sal Rinauro to advance to the Survival of the Fittest main event..
October 1, 2005 – ROH: Tony Mamaluke & Sal Rinauro defeated Jimmy Jacobs & BJ Whitmer to win the Tag Team titles!.. October 7, 2005–Full Impact Pro: Colt Cabana & Sal Rinauro defeated Milano Collection A.T. & Roderick Strong..
>October 8, 2005–Full Impact Pro: Colt Cabana & Sal Rinauro defeated The Heartbreak Express (Sean & Phil Davis) by disqualification..
October 14, 2005 – ROH: Tony Mamaluke & Sal Rinauro defeated BJ Whitmer & Jimmy Jacobs w/Lacey to retain the Tag Team titles..
October 15, 2005 – ROH: Tony Mamaluke & Sal Rinauro defeated Homicide & Ricky Reyes to retain the Tag Team titles..
November 5, 2005 – ROH: Jimmy Jacobs w/Lacey defeated Salvatore Rinauro..
October 29, 2005–NWA Anarchy: Kory Chavis & Jay Fury & Hayden Young beat Salvatore Rinauro & Seth Delay & Patrick Bentley..
~~~~~~~~~~After the match, Seth Delay & Patrick Bentley turned on their partner Salvatore Rinauro..
November 11, 2005–Full Impact Pro: The Heartbreak Express beat Sal Rinauro & Davey Andrews to retain the Tag Team titles..
December 3, 2005 – ROH: Tony Mamaluke & Sal Rinauro defeated Colt Cabana & Milano Collection AT to retain the Tag Team titles..
December 9, 2005–Full Impact Pro: Milano Collection AT defeated Salvatore Rinauro..
December 10, 2005–Full Impact Pro: Cory Chavis w/So Cal Val defeated Salvatore Rinauro..
~~~The Masked Fippers beat The Heartbreak Express in a non-title match (Flippers revealed later as Colt Cabana & Sal Rinauro)..
December 16, 2005–Ring of Glory: Jimmy Rave beat Air Paris, Sal Rinauro & CJ Summers in a 4-WAY Stairway to Heaven match..
December 30, 2005–NWA Anarchy: Seth Delay & Patrick Bentley defeated Salvatore Rinauro & Tony Mamaluke..
January 6, 2006–Full Impact Pro: The Heartbreak Express defeated Colt Cabana & Salvatore Rinauro..
January 14, 2006 – ROH: Jack Evans defeated Adam Pearce and Salvatore Rinauro and Trik Davis and Kid Mikaze and Jason Blade..
January 20, 2006–Full Impact Pro: Donovan Morgan defeated Salvatore Rinauro..
January 21, 2006–NWA Anarchy: Patrick Bentley defeated Sal Rinauro..
January 27, 2006 – ROH: The Embassy (Jimmy Rave & Alex Shelley & Abyss) defeated Tony Mamaluke & Sal Rinauro & Jay Fury..
January 28, 2006 – ROH: Tony Mamaluke & Sal Rinauro & Delirious defeated The Embassy (Jimmy Rave & Alex Shelley & Abyss)..
February 18, 2006–Full Impact Pro: Erick Stevens defeated Salvatore Rinauro. February 25, 2006 – ROH: The Briscoe Brothers defeated Tony Mamaluke & Salvatore Rinauro and Jason Blade & Kid Mikaze..
March 4, 2006–NWA Anarchy: Mikal Adryan w/Jeff G. Bailey defeated Salvatore Rinauro to retain the Anarchy title..
March 10, 2006–World 1 Wrestling: A.J. Styles won three-way over Jimmy Rave and Salvatore Rinauro..
April 22, 2006–Pro Wrestling Evolution: Salvatore Rinauro defeated Seth Delay. 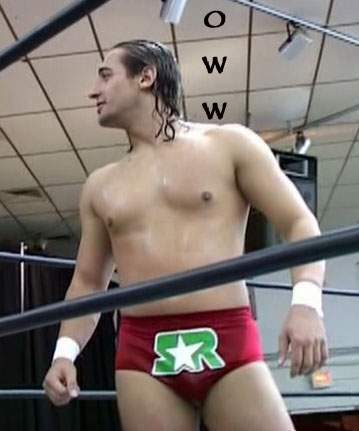 May 6, 2006–NWA Anarchy: Hayden Young defeated Salvatore Rinauro..
May 13, 2006–Pro Wrestling Evolution: Ace Rockwell defeated Salvatore Rinauro..
May 19, 2006–New Frontier Wrestling Association: Salvatore Rinauro defeated Larry Sweeney..
May 20, 2006–IWA-Deep South: Hallowicked won a 4-WAY match to capture the vacant IWA-Deep South title..
~~~MATCH RESULT: Hallowicked beat Mickie Knuckles and Brandon Thomaselli and Salvatore Rinauro in a 4-WAY..
May 27, 2006–Full Impact Pro: Salvatore Rinauro defeated Jimmy Rave in a Loser Leaves Town for 90 days match..
June 9, 2006–Full Impact Pro: American Dragon defeated Sal Rinauro to retain the FIP title..
June 16, 2006–NWA-Bluegrass: Kris King defeated Salvatore Rinauro..
June 17, 2006–NWA Anarchy: Onyx defeated Salvatore Rinauro with the Full Nelson..
July 1, 2006–NWA Anarchy: Onyx defeated Salvatore Rinauro..
July 7, 2006–Full Impact Pro: Alex Porteau beat Salvatore Rinauro and Kory Chavis in a 3-WAY..
July 8, 2006–Full Impact Pro: Kenny King defeated Salvatore Rinauro..
July 15, 2006 – ROH: Prince Nana introduced the newest member of The Embassy Salvatore Rinauro!! ~~~Jimmy Rave & Salvatore Rinauro w/Prince Nana defeated Colt Cabana & Jay Lethal in a Tag Team match..
July 28, 2006 – Ring of Honor: Davey Richards & Jerelle Clark defeated The Embassy (Jimmy Rave & Sal Rinauro)..
July 22, 2006–NWA Anarchy: Salvatore Rinauro defeated Onyx..
July 29, 2006 – Ring of Honor: The Embassy (Sal Rinauro & Jimmy Rave) defeated Colt Cabana & Ace Steel..
August 5, 2006 – Ring of Honor: Colt Cabana defeated Sal Rinauro (w/Prince Nana & Jimmy Rave) by Submission..
August 18, 2006–Pro Wrestling Evolution: Salvatore Rinauro defeated Adrian Hawkins..
August 25, 2006 – Ring of Honor: Colt Cabana & Davey Richards defeated Jimmy Rave & Salvatore Rinauro w/Prince Nana..
August 26, 2006 – Ring of Honor: Jimmy Rave & Sal Rinauro & Nigel McGuinness beat Delirious & Jake Crist & David Crist..
September 2, 2006–NWA Anarchy: Salvatore Rinauro defeated Chad Parham..
September 4, 2006 – RAW: Sal Rinauro played a security guard during a segment involving The McMahons and Degeneration-X..
September 8, 2006–FIP: Black Market w/Allison Danger defeated Team Protein & Applesauce (Colt Cabana & Sal Rinauro)..
September 9, 2006–Full Impact Pro: YRR (Chasyn Rance & Kenny King) defeated Salvatore Rinauro & Seth Delay..
October 7, 2006–NWA Anarchy: Brandon Phoenix defeated Salvatore Rinauro by Submission to retain the Television title..
October 13, 2006–Full Impact Pro: The Briscoe Brothers (Mark & Jay) defeated Erick Stevens & Salvatore Rinauro..
October 14, 2006–Full Impact Pro: YRR (Steve Madison & Chasyn Rance) defeated Erick Stevens & Salvatore Rinauro..
~~~Salvatore Rinauro turned heel on Erick Stevens and joined the YRR (Young, Rich & Ready) faction..
October 27, 2006 – Ring of Honor: American Dragon defeated Salvatore Rinuaro to retain the ROH World title! October 28, 2006 – Ring of Honor: Colt Cabana & Jimmy Jacobs w/Lacey defeated Jimmy Rave & Salvatore Rinauro..
November 10, 2006–Full Impact Pro: Sal Rinauro & Kenny King beat Erick Stevens & Seth Delay when Daffney interfered..
November 11, 2006–Full Impact Pro: Sal Rinauro defeated Erick Stevens..
November 18, 2006–NWA Anarchy: Salvatore Rinauro & Ace Rockwell defeated Brandon Phoenix & Brodie Ray Chase..
December 30, 2006–NWA Anarchy: Slim J defeated Salvatore Rinauro by Submission to retain the NWA Anarchy title..
January 6, 2007–NWA Anarchy: Salvatore Rinauro defeated Brian Cage in Cornelia, Georgia..
January 12, 2007–Full Impact Pro: Salvatore Rinauro defeated Gran Akuma in Inverness, Florida..
January 20, 2007–NWA Anarchy: Austin Creed defeated Sal Rinauro in Cornelia, Georgia..
February 2, 2007–Full Impact Pro: Black Market defeated The YYR (Chasyn Rance & Sal Rinauro) by disqualification..
February 3, 2007–FIP: YRR (Claudio Castagnoli & Sal Rinauro) beat Black Market in a “Loser Leaves Town for 90’s Days” match..
February 17, 2007–NWA Anarchy: Ace Rockwell defeated Sal Rinauro to retain the NWA Anarchy Television title..
February 22, 2007 – TNA iMPACT: Salvatore Rinauro appeared in the corner of Team 3-D in their Belting Pot match with LAX..
March 3, 2007–IWA Deep South: Mike Quackenbush beat Chuck Taylor and Ricochet and Salvatore Rinauro in a 4-WAY..
March 10, 2007–FIP: The YRR (Chasyn Rance & Kenny King & Sal Rinauro) beat Kory Chavis & Jerrelle Clark & Seth Delay..
March 17, 2007–NWA Anarchy: Ace Rockwell & Slim J beat Sal Rinauro & Jeremy Vain & Chad Parham in a Handicap match..
March 31, 2007–NWA Anarchy: Salvatore Rinauro defeated Todd Sexton in Cornelia, Georgia..
April 7, 2007–NWA Anarchy: Texas Death Club (Todd Sexton & Masada) defeated Sal Rinauro & Fast Eddie Vegas..
April 20, 2007–Full Impact Pro: The YRR (Salvatore Rinauro & Kenny King) defeated Seth Delay & Jerrelle Clark..
April 20, 2007–FIP: The YRR (Salvatore Rinauro & Chasyn Rance) defeated The Heartbreak Express (So Cal Val turned on the HBX)..
April 29, 2007–Full Impact Pro: The YRR’s Salvatore Rinauro defeated Seth Delay in Brooksville, Florida..
May 5, 2007–IWA Deep South: Mike Quackenbush defeated Salvatore Rinaruo by Submission to retain the IWA: Deep South title..
May 19, 2007–NWA Anarchy: Truitt Fields defeated Salvatore Rinauro in Cornelia, Georgia..
May 25, 2007–FIP: The YRR w/Becky Bayless defeated Sean Waltman & The Heartbreak Express w/Lacey in a Bunkhouse Brawl..
~~~The YRR (Chasyn Rance & Kenny King & Salvatore Rinauro) won the match when Lacey turned on the HBX and joined The YRR! May 26, 2007–Full Impact Pro: The Heartbreak Express & Steve Madison defeated The YRR (w/Becky Bayless & Lacey) by disqualification..
June 2, 2007–NWA Bluegrass: Kris King defeated Jay-Ten Lyons and Sal Rinauro in a 3-WAY to retain the NWA Bluegrass title! June 16, 2007–NWA Anarchy: Don Matthews defeated Todd Sexton with The Lariat after Salvatore Rinauro interfered..
June 23, 2007–NWA Anarchy: Todd Sexton defeated Salvatore Rinauro by Submission..
June 29, 2007–Full Impact Pro: Irish Airborne defeated The YRR (Sal Rinauro & Jason Blade w/So Cal Val)..
June 30, 2007–Full Impact Pro: Chasyn Rance & Sal Rinauro (w/So Cal Val & Becky Bayless) defeated The Heartbreak Express..
July 7, 2007–IWA Deep South: Chrisjen Hayme beat Salvatore Rinauro and Patrick Bentley and Jarrett Tyler in a 4-WAY..
July 21, 2007–NWA Anarchy: Kory Chavis (w/Jeff G. Bailey & Abomination) defeated Salvatore Rinauro..
July 27, 2007–APW: Wes Grissom defeated Salvatore Rinauro in Royston, Georgia..
August 18, 2007–Full Impact Pro: The YRR defeated Black Market & The Heartbreak Express in a brutal Bunkhouse Match..
~~~The YRR = Chasyn Rance & Salvatore Rinauro & Kenny King & Jason Blade (w/So Cal Val & Rain & Becky Bayless)..
August 19, 2007–Full Impact Pro: Erick Stevens defeated Sal Rinauro (w/Rain & Becky Bayless) to retain the FIP Florida Heritage title..
September 1, 2007–IWA Deep South: Eddie Kingston defeated Salvatore Rinauro in Pelham, Alabama..
September 8, 2007–Jersey All Pro Wrestling: Archadia defeated Seth Delay and Salvatore Rinauro in a 3-WAY..
September 28, 2007–Full Impact Pro: The YRR defeated Black Market & The Heartbreak Express in an Anything Goes match..
~~~Salvatore Rinauro & Chasyn Rance & Kenny King & Jason Blade beat Joey Machete & Shawn Murphy & Sean & Phil Davis..
September 29, 2007–Full Impact Pro: Black Market & The Heartbreak Express defeated The YRR in a bloody Cage of Pain match! ~~~Joey Machete & Shawn Murphy & Sean & Phil Davis beat Chasyn Rance & Jason Blade & Kenny King & Salvatore Rinauro..
October 6, 2007–NWA Anarchy: Salvatore Rinauro defeated Tony Santarelli in Cornelia, Georgia..
November 9, 2007–Full Impact Pro : Sal Rinauro (w/So-Cal Val & Rain) defeated Erick Stevens to win the FIP Florida Heritage title..
November 17, 2007–NWA Anarchy: T-N-T (Todd Sexton & Tony Santorelli) defeated Wes Grissom & Salvatore Rinauro..
December 1, 2007–NWA Anarchy: “Violent Passion” Patrick Bentley w/Dan Wilson beat “The Big Deal” Salvatore Rinauro..
December 9, 2007–Southern Extreme Championship Wrestling: Austin Creed defeated Salvatore Rinauro..
December 30, 2007–Southern Extreme Championship Wrestling: Adrian Hawkins defeated Salvatore Rinauro..
December 31, 2007–UCW: Dustin Powers beat Austin Creed and Sal Rinauro in a 3-WAY for the UCW Title..
~~~Sal Rinauro/Austin Creed/Brian Lawler/Kevin Ballenger beat Kyle Matthews/Justin Dirt/Dustin Powers/Adrian Hawkins..
January 5, 2008–NWA Anarchy: Phil Shatter defeated Salvatore Rinauro to retain the NWA Anarchy Heavyweight title..
January 6, 2008–Southern Extreme Championship Wrestling: Adrian Hawkins & Kyle Matthews defeated Will Owens & Salvatore Rinauro..
January 11, 2008 – Ring of Honor: Delirious defeated Salvatore Rinauro (w/The YRR) by Cobra Stretch Submission..
January 12, 2008 – Ring of Honor: Sal Rinauro & Kenny King & Jason Blade beat Delirious & El Generico & Mike Quackenbush..
January 20, 2008–SECW: Jimmy Rave & Billy Love & Sal Rinauro beat Frankie Valentine & Adrian Hawkins & Kyle Matthews..
January 26, 2008–Ultimate Christian Wrestling: Sal Rinauro defeated Austin Creed in a 30 minute Ironman Match..
January 27, 2008–Southern Extreme Championship Wrestling: Ricky Morton & Brad Armstrong beat Will Owens & Sal Rinauro..
February 10, 2008–Southern Extreme Championship Wrestling: Will Owens & Sal Rinauro defeated Kyle Matthews & Kid Ego..
February 16, 2008–Full Impact Pro: Sal Rinauro defeated Tyler Black (w/Lacey & Rain) to retain the FIP Florida Heritage title..
February 17, 2008–Southern Extreme Championship Wrestling: Salvatore Rinauro defeated Jonathan Davis in Carrollton, Georgia..
February 17, 2008–Southern Extreme Championship Wrestling: Tommy Rich & The Nightmare defeated Billy Love & Sal Rinauro..
March 2, 2008–Southern Extreme Championship Wrestling: Salvatore Rinauro defeated Kyle Matthews in Carrollton, Georgia..
March 7, 2008–Ultimate Christian Wrestling: Salvatore Rinauro defeated Dustin Powers with his springboard spinkick..
~~~However the referee DQ’d Sal Rinauro upon finding the gimmick Dustin Powers had slipped into Salvatore’s tights..
March 8, 2008–Ultimate Christian Wrestling: Salvatore Rinauro defeated Dustin Powers to win the UCW Heavyweight Title..
March 22, 2008–Full Impact Pro: Delirious & The Briscoe Brothers beat The YRR (Sal Rinauro & Kenny King & Chasyn Rance)..
March 28, 2008 – Ring of Honor: The Vulture Squad (Ruckus & Jigsaw) defeated The YRR (Sal Rinauro & Kenny King)..
March 29, 2008 – ROH: YRR (Kenny King & Sal Rinauro & Chasyn Rance) defeated Bushwhacker Luke & Dingo & Alex Payne..
April 24, 2008–Ultimate Christian Wrestling: Salvatore Rinauro defeated Dustin Powers to retain the UCW Heavyweight Title..
April 26, 2008–Full Impact Pro: Sal Rinauro defeated Delirious after interference to retain the FIP Florida Heritage Title..
May 1, 2008–Ultimate Christian Wrestling: Sal Rinauro defeated Dustin Powers to retain the UCW Heavyweight title..
May 20, 2008–Ultimate Christian Wrestling: Sal Rinauro defeated Slim J to retain the UCW Heavyweight Title..
May 30, 2008–Full Impact Pro: Scotty Too Hotty & Delirious defeated The YRR (Sal Rinauro & Chasyn Rance)..
May 31, 2008–Full Impact Pro: Jimmy Jacobs vs. Jason Blade ended in a No Contest after Chasyn Rance & Delirious interfered..Jimmy Jacobs & Delirious defeated The YRR (Sal Rinauro & Jason Blade) in a tag team match..
June 22, 2008–Southern Extreme Championship Wrestling: Sal Rinauro defeated Chip Day in Bremen, Georgia..
June 27, 2008–Peachstate Wrestling Alliance: Sal Rinauro defeated Ace Rockwell in Bremen, Georgia..
June 28, 2008–Prime Time Pro Wrestling: Salvatore Rinauro defeated Ace Rockwell in Manchester, Georgia..
July 6, 2008–Southern Extreme Championship Wrestling: Sal Rinauro beat Thomas Farnsworth and Adrian Hawkins in a 3-WAY..
July 13, 2008–Southern Extreme Championship Wrestling: Sal Rinauro defeated Kyle Matthews in Bremen, Georgia..
July 19, 2008–Full Impact Pro: Sal Rinauro w/The YRR defeated Joey Ryan to retain the Florida Heritage title..
July 31, 2008 – TNA iMPACT: Matt Morgan defeated Sal Rinauro with the Hellavator in a Squash match..
July 25, 2008–Peach State Wrestling: El Mexicano defeated Sal Rinauro by DQ in Bremen, Georgia..
August 22, 2008–Southern Extreme Championship Wrestling: Adrian Hawkins defeated Sal Rinauro in Bremen, Georgia..
August 23, 2008–Full Impact Pro: FIP Florida Heritage champion Salvatore Rinauro w/The YRR defeated Chris Jones..
August 24, 2008–GEAR Wrestling: Tyler Black defeated Sal Rinauro in Orlando, Florida..
August 29, 2008–Dragon Con Wrestling: Ace Rockwell beat Adrian Hawkins and Sal Rinauro and Chip Day in a 4-WAY..
September 14, 2008–Rampage Pro Wrestling: Sal Rinauro defeated Kyle Matthews to advance in a tournament..
September 19, 2008–Prime Time Pro Wrestling: Ace Rockwell defeated Sal Rinauro in Columbus, Georgia..
September 21, 2008–Rampage Pro Wrestling: Sal Rinauro defeated J-Rod in a hair vs. tournament spot match to keep his spot..
September 28, 2008–Rampage Pro Wrestling: A.J. Steele & J-Rod defeated Sal Rinauro & Kurosukaji in Warner Robins, Georgia..
October 4, 2008–Southern Championship Wrestling: Ace Rockwell defeated Sal Rinauro in Jasper, Alabama..
October 4, 2008–Rampage Pro Wrestling: Sal Rinauro defeated Rob Adonis in Warner Robins, Georgia..
October 10, 2008–Prime Time Pro Wrestling: Elix Skipper defeated Sal Rinauro in Columbus, Georgia..
October 11, 2008–Full Impact Pro: Chris Jones defeated Sal Rinauro to capture the FIP Florida Heritage title..
October 12, 2008–Rampage Pro Wrestling: A.J. Steele defeated Sal Rinauro in Warner Robins, Georgia..
October 17, 2008–Prime Time Pro Wrestling: The Southside Trash defeated Rob Adonis & Sal Rinauro..
October 18, 2008–Peachstate Wrestling Alliance: Sal Rinauro & Ulimate Dragon beat Mike Jackson & Chris Jones..
October 19, 2008–Rampage Pro Wrestling: Kyle Matthews & J-Rod defeated Sal Rinauro & Kurosukaji..
October 24, 2008–Prime Time Pro Wrestling: Sal Rinauro defeated Frankie Valentine in Columbus, Georgia..
October 30, 2008–Prime Time Pro Wrestling: Micah Taylor defeated Sal Rinauro in Columbus, Georgia..
November 7, 2008–Prime Time Pro Wrestling: Tracy Taylor & Micah Taylor defeated Sal Rinauro & Rock C..
November 14, 2008–NWA Prime Time: Deathrow defeated Sal Rinauro in Columbus, Georgia at the Event Center..
~~~~~~~~~Before the match: Sal Rinauro professed his love for Tracy Taylor and would do anything to prove it. ~~~~~~~~~~Tracy Taylor told Sal Rinauro he would have to start at the bottom and work his way up to her level..
~~~Sal agreed to take on anybody and Deathrow appeared behind Rinauro, who fainted and Deathrow got the easy win! November 18, 2008–ECW on Sci-Fi: DJ Gabriel w/Alicia Fox defeated Sal Rinauro in a squash match..
November 30, 2008–Rampage Pro Wrestling: Sal Rinauro defeated J-Rod in a Steel Cage match..
December 6, 2008 – Ring of Honor: The Briscoe Brothers & Kenny Omega defeated Kenny King & Sal Rinauro & Rhett Titus..
December 20, 2008–Full Impact Pro: Brad Attitude defeated YRR member Sal Rinauro in Crystal River, Florida..
February 7, 2009 – Ring of Honor: The YRR (Chasyn Rance & Sal Rinauro) defeated Bobby Dempsey & Ninja Brown..
April 9, 2009–ROH HDTV Taping (Episode #7): Erick Stevens defeated Sal Rinauro in a singles match..
April 10, 2009–ROH HDTV Taping (Episode #12): Bobby Dempsey defeated Salvatore Rinauro in a singles match..
May 29, 2009–ROH HDTV Taping (Episode #15): The Young Bucks defeated Sal Rinauro & Brandon Day..
June 13, 2009–NWA Powerslam: The British Lions defeated Sal Rinauro & Seth Delay in Cedartown, Georgia..
August 14, 2009–ROH HDTV Taping: Bison Smith defeated Sal Rinauro..
August 15, 2009–ROH HDTV Taping: Nigel McGuinness defeated Sal Rinauro..
September 11, 2009–ROH HDTV Taping: “Skullkrusher” Rasche Brown defeated Sal Rinauro in a dark match..
September 11, 2009–ROH HDTV Taping: D-Lo Brown defeated Sal Rinauro..
September 18, 2009–Ring of Honor: Sal Rinuaro defeated Alex “Sugarfoot” Payne with a roll up and pull of the tights..
September 19, 2009–ROH: Rasche Brown beat Silas Young & Grizzly Redwood & Alex Payne & Sal Rinauro & Kyle O’Reilly (6-WAY)..
April 23, 2010–Southern Extreme Championship Wrestling: J-Rod & Sal Rinauro defeated the Nightmare & Kyle Matthews by disqualification. December 21, 2012–Anarchy: Jimmy Rave, Sal Rinauro & Todd Sexton defeated Adrian Hawkins, CB Suave, Tommy Penirelli. December 14, 2013–Anarchy: Corey Hollis and Mike Posey defeated Seth Delay and Sal Rinauro. December 28, 2013–Anarchy: Ace Rockwell, Sal Rinauro, Seth Delay, Steven Walters & Todd Sexton defeated Anthony Henry, BJ Hancock, Bo Newsom, Hayden Young & Joey Rhymer. August 30, 2014–SFCW: Drew Adler and Sal Rinauro defeated Michael Stevens and Zac Edwards. February 20, 2015–AWN: Sal Rinauro defeated Drew Adler. March 7, 2015–PWA: Andy Anderson and Sean Nelson defeated Nigel Sherrod and Sal Rinauro by disqualification. March 14, 2015–NWA Atlanta: NWA Georgia junior heavyweight champion Fry Daddy defeated Sal Rinauro to retain the title. March 21, 2015–PWA: Nigel Sherrod and Sal Rinauro defeated Kevin Coffman and Lex Lee. April 4, 2015–PWA: Nigel Sherrod and Sal Rinauro defeated Shane Marx and Trevor Aeon to win the tag team titles. April 11, 2015–NWA Atlanta: Jimmy Rave defeated Sal Rinauro. Shane Marx defeated Bill The Butcher and Chad Silva and Fry Daddy and Jake Hughes and Jimmy Rave and Nigel Sherrod and Pain and Sal Rinauro and Zach Daniels in a 10 man royal rumble match. April 17, 2015–AWN: Sal Rinauro defeated Colt Callaway in the 1st round. April 18, 2015–PWA: Ace Heaven and Iceberg defeated Nigel Sherrod and Sal Rinauro by disqualification. May 1, 2015–AWN: Sal Rinauro defeated Logan Creed in the semi-finals. May 2, 2015–PWA: Ace Haven, Iceberg and Rick Michaels defeated Dusty MacWilliams, Nigel Sherrod and Sal Rinauro by disqualification. May 9, 2015–SFCW: Sal Rinauro defeated Michael Stevens. May 15, 2015–AWN: Sal Rinauro defeated Fry Daddy. May 16, 2015–PWA: Dusty MacWilliams, Nigel Sherrod, Sal Rinauro, The Ultimate Dragon and Tommy Too Much defeated Ace Haven, Iceberg, Rick Michaels and Simon Sermon in a handicap street fight match. May 29, 2015–AWN: Sal Rinauro defeated Luke Gallows. May 30, 2015–Anarchy: Sal Rinauro, Seth Delay and Todd Sexton defeated Jimmy Rave, CB Suave and P Dog. June 5, 2015–WrestleMerica: Andy Anderson defeated Sal Rinauro. June 19, 2015–AWN: Drew Adler defeated Sal Rinauro to win the tournament and vacant AWN heavyweight title. June 20, 2015–PWA: Team PWA (Ace Haven, Iceberg, Rick Michaels, Simon Sermon & Stupid) defeated Dusty MacWilliams, Nigel Sherrod, Sal Rinauro, The Dragon & Tommy Too Much in a tag team war games steel cage match. June 27, 2015–Anarchy TV: Todd Sexton defeated Sal Rinauro. July 10, 2015–WrestleMerica: Sal Rinauro defeated Kameron Kade. July 31, 2015–AWN: Sal Rinauro defeated Michael Stevens. August 15, 2015–PWA: Sal Rinauro defeated Ace Heaven. September 4, 2015–AWN: Sal Rinauro defeated Stunt Marshall. September 5, 2015–PWA: Sal Rinauro defeated Charles Zanders. September 12, 2015–NWA Atlanta: Sal Rinauro defeated Zac Edwards. September 18, 2015–AWN: AWN Heritage champion Stunt Marshall defeated Sal Rinauro to retain the title. September 19, 2015–PWA: Sal Rinauro defeated Kevin Blue. Jimmy Rave, Kevin Blue & Tyson Dean defeated Mike Posey, Romeo & Sal Rinauro. September 26, 2015–NWA Atlanta: Sal Rinauro defeated CB Suave. October 2, 2015–AWN: Sal Rinauro defeated Zac Edwards. October 2, 2015–WrestleMerica: Sal Rinauro defeated CB Suave. October 3, 2015–PWA: Sal Rinauro defeated Stupid. October 16, 2015–AWN: Sal Rinauro defeated Tyson Dean. October 17, 2015–PWA: Ace Haven & Charles Zanders defeated Sal Rinauro & Tyson Dean. October 30, 2015–AWN: Sal Rinauro defeated Michael Stevens. November 1, 2015–AWE: Chip Day defeated Chase Jordan and Sal Rinauro in a 3-way match. November 7, 2015–PWA: Sal Rinauro defeated Tyson Dean. November 13, 2015–PSW: Donnie Primetime defeated Sal Rinauro. November 20, 2015–AWN: Chip Day defeated Sal Rinauro to retain the AWN Heritage title. November 28, 2015–PWA: Tyson Dean defeated Sal Rinauro in a ladder match. December 4, 2015–AWN: The Beautiful Bald Besties (Michael Stevens and Zac Edwards) defeated Chip Day and Sal Rinauro. December 26, 2015–PWA: Jimmy Rave vs. Sal Rinauro ended in a double pin. Rave retains the Heritage title. January 8, 2016–WrestleMerica: AJ Styles and Doc Gallows defeated Jimmy Rave and Sal Rinauro. January 15, 2016–AWN: The Beautiful Bald Besties (Michael Stevens and Zac Edwards) defeated Chip Day and Sal Rinauro. January 16, 2016–PWA: Jimmy Rave vs. Sal Rinauro ended in a no contest. Rave retains the Heritage title. January 23, 2016–WWW: Chip Day defeated Sal Rinauro in the 1st round. January 29, 2016–AWN: Michael Stevens defeated Sal Rinauro. February 5, 2016–AWN: Sal Rinauro defeated Shane Curtis. February 6, 2016–SFCW: Slim J defeated Sal Rinauro. February 19, 2016–AWN: Backbone (Leon McMichael, Michael Stevens, Shane Curtis and Zac Edwards) defeated Dax Anthony, Johnny Nixx, Murder-1 and Sal Rinauro. February 20, 2016–PWA: Simon Sermon defeated Jimmy Rave and Sal Rinauro in a 3-way match. March 5, 2016–PWA: Sal Rinauro defeated Fry Daddy in the 1st round. March 18, 2016–AWN: Sal Rinauro defeated Stunt Marshall. March 19, 2016–PWA: Jacob Ashworth defeated AJ Steele and Sal Rinauro in a 3-way match. April 1, 2016–AWN: Zac Edwards defeated Sal Rinauro in a last man standing match. April 15, 2016–AWN: Backbone (Drew Adler, Leon McMichael and Shane Curtis) defeated Johnny Nixx, Odinson and Sal Rinauro. April 29, 2016–AWN: Sal Rinauro defeated Michael Stevens in a last man standing match. May 6, 2016–AWN: Sal Rinauro defeated Effy Gibbes. May 21, 2016–PWA: Fry Daddy defeated Sal Rinauro. Tyson Dean defeated Fry Daddy to win the tournament and vacant Heritage title. May 26, 2016–AWN: Fry Daddy and Sal Rinauro defeated Backbone (Leon McMichael and Shane Curtis) to win the tag titles. June 18, 2016–PWA: Team PWA (Charles Zanders, Kevin Blue, Nigel Sherrod, Sal Rinauro and Shane Noles) defeated Backbone (Andrew Aries, Drew Adler, Michael Stevens, Scott Aries and Zac Edwards) in war games rules match. July 16, 2016–PWA: Backbone (Drew Adler, Michael Stevens and Zac Edwards) defeated Charles Zanders, Sal Rinauro and Shane Noles. July 23, 2016–SFCW: Damien Bennett and Sal Rinauro defeated The Beautiful Bald Besties (Michael Stevens and Zac Edwards). August 5, 2016–AWN: Bill The Butcher and Oscar Worthy defeated Fry Daddy and Sal Rinauro. August 20, 2016–PWA: Drew Adler defeated Kevin Blue, CB Suave and Sal Rinauro in a 4-way match to win the No Limits title. September 3, 2016–PWA: AJ Steele, Jimmy Rave, Pandora, Sal Rinauro and Shane Noles defeated The Kingsmen (Kyle Matthews, Logan Creed, Merica Strong, Slim J and Tommy Too Much) in a street fight. September 17, 2016–PWA: Sal Rinauro defeated Kyle Matthews. September 30, 2016–AWN: Backbone (Drew Adler and Shane Curtis) defeated Sal Rinauro in a handicap match. October 1, 2016–PWA: Sal Rinauro defeated Drew Adler to win the No Limits title. The Gladiator Jeremiah defeated Sal Rinauro to win the No Limits title. October 15, 2016–GPW: Sal Rinauro defeated Drew Adler. October 21, 2016–AWN: Bill The Butcher and Oscar Worthy defeated Sal Rinauro and Tyson Dean to retain the tag titles. November 4, 2016–AWN: Team AWN (AJ Steele, Fry Daddy, Logan Creed, Sal Rinauro and Stunt Marshall) defeat Team Backbone (Drew Adler, Leon McMichael, Michael Stevens, Shane Curtis & Zac Edwards) in a war games rules match. November 5, 2016–PWA: Kevin Blue defeated Sal Rinauro. November 19, 2016–SFCW: Drew Adler and Sal Rinauro defeated The Dogs Of War (Hawk and O’Shay) in the 1st round. Drew Adler and Sal Rinauro defeated JB Enterprises (Drew Blood and Tetchi Makuji) in the semi-finals. Adrian Hawkins and Bobby Moore defeated Drew Adler and Sal Rinauro to win the tournament and vacant tag titles. December 10, 2016–PWA: Sal Rinauro was in the 25 man royal rumble match for the Heritage title won by P Dog. December 18, 2016–PWX: The Bruiserweights (Corey Hollis and John Skyler) defeated Jimmy Rave and Sal Rinauro. December 30, 2016–AWN: Bill The Butcher defeated Sal Rinauro to become #1 contender for the heavyweight title. January 20, 2017–AWN: Bill The Butcher and Oscar Worthy defeated Fry Daddy and Sal Rinauro to retain the tag titles. February 11, 2017–ROH TV (Taped): Mark Briscoe defeated Sal Rinauro. January 21, 2017–PWA: Sal Rinauro defeated Gladiator Jeremiah. February 4, 2017–PWA: Sal Rinauro defeated Drew Adler. February 17, 2017–AWN: Sal Rinauro defeated Rob Adonis. February 18, 2017–PWA: Charles Zanders defeated Sal Rinauro. February 24, 2017–WrestleMerica: Tyson Dean defeated Sal Rinauro. March 4, 2017–SCI Scenic City: Sal Rinauro defeated Austin Theory. Sal Rinauro was also in the rumble match won by Tank. May 6, 2017–PWA: The Kingsmen (Kyle Matthews & Logan Creed) and Mr. O’Hagan defeated Ace Haven, AJ Steele and Sal Rinauro. May 19, 2017–AWN: Sal Rinauro defeated Brian Blaze. June 2, 2017–AWN: Fry Daddy defeated Sal Rinauro. June 3, 2017–SFCW: AJ Steele, Logan Creed and Sal Rinauro defeated Backbone (Drew Adler, Michael Stevens and Zac Edwards). June 17, 2017–PWA 9th Anniversary Show: The Reckoning (Billy Buck, Charles Zanders, Kevin Blue & Schaff) defeat The Kingsmen (Tommy Too Much [Heritage Title], O’Hagan [No Limits Title], Kyle Matthews & Logan Creed [Tag Team Title]) and P Dog’s Posse (Michael Stevens, P Dog, Shane Noles & Zac Edwards) and AJ’s Army (Ace Haven, AJ Steele, Drew Adler & Sal Rinauro) in a survivor games match, where titles changes hands. June 24, 2017–SFCW: Drew Blood defeated Sal Rinauro. July 13, 2017–SWE: Fidel Sierra defeated Sal Rinauro. July 21, 2017–AWN: Sal Rinauro defeated Chic Donovan by count-out. July 29, 2017–PWA: Gladiator Jeremiah vs. Sal Rinauro ended in a time limit draw. August 4, 2017–AWN: Sal Rinauro defeated Fry Daddy. August 18, 2017–AWN: Fry Daddy defeated Sal Rinauro and Tyson Dean in a 3-way match to become #1 contender for the CCW Unified title. August 19, 2017–PWA: Sal Rinauro defeated Kyle Matthews. September 23, 2017–ROH TV (Taped): Sal Rinauro was in the Honor Rumble match won by Frankie Kazarian. September 30, 2017–WrestleMerica: Sal Rinauro defeated Fry Daddy. October 7, 2017–PWA: Austin Theory defeated Sal Rinauro to retain the Heritage title. October 14, 2017–SFCW: Rave Approved (Adrian Hawkins and Bobby Moore) defeated Michael Stevens and Sal Rinauro to retain the tag titles. October 21, 2017–AWN: Sal Rinauro defeated Kameron Kade. November 11, 2017–WrestleMerica: Sabu defeated Sal Rinauro. November 25, 2017–PWA: Kevin Blue defeated Austin Theory, Sal Rinauro and Tyson Dean in a 4-way match to win the Heritage title. December 30, 2017–SFCW: Ike Cross and Sal Rinauro defeated Bobby Moore and Michael Stevens. January 6, 2018–PWA: Sal Rinauro defeated Alan Angels. January 13, 2018–SFCW: Adrian Hawkins defeated Sal Rinauro to retain the heavyweight title. January 20, 2018–PWA: Ike Cross and Sal Rinauro defeated Kevin Blue and Tyson Dean. February 3, 2018–PWA: Tyson Dean defeated Sal Rinauro. March 10, 2018–ROH TV (Taped): J-Rocc and Sal Rinauro defeated Chad Skywalker and Ghost in a dark match. March 10, 2018–WrestleMerica: Tyson Dean defeated Sal Rinauro to retain the WrestleMerica title. March 24, 2018–Anarchy Wrestling: Corey Hollis and Sal Rinauro defeated Seth Delay and Slim J.
April 14, 2018–Anarchy Wrestling: Sal Rinauro, Seth Delay and Slim J defeated AJ Gray, Brady Pierce and Corey Hollis by disqualification.